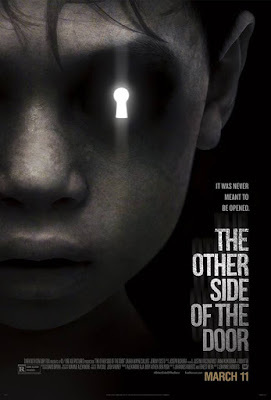 The Other Side of the Door is a horror film about a woman who is struggling with the loss of a child. 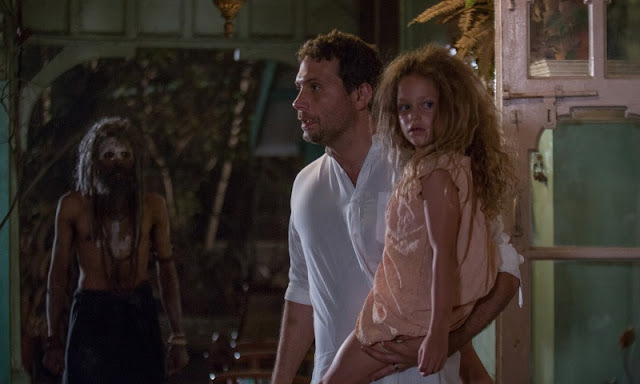 The movie was written and directed by Johannes Roberts and stars Sarah Wayne Callies, Jeremy Sisto, Sofia Rosinsky, Logan Creran, and Suchitra Pillai. So.....there's really not much to say about this movie. The idea is kind of interesting, but the execution just wasn't effective in any way. When these types of movies go wrong, they often become comical more than anything else although this film even managed to fail in that regard. While I'm sure the actors gave a solid effort, there is really no life to their performances and they give you no reason to care about what is happening to them. The Other Side of the Door is not a scary movie. It is not a good movie. It's not even an unintentionally funny movie. Don't bother ever seeing this movie.